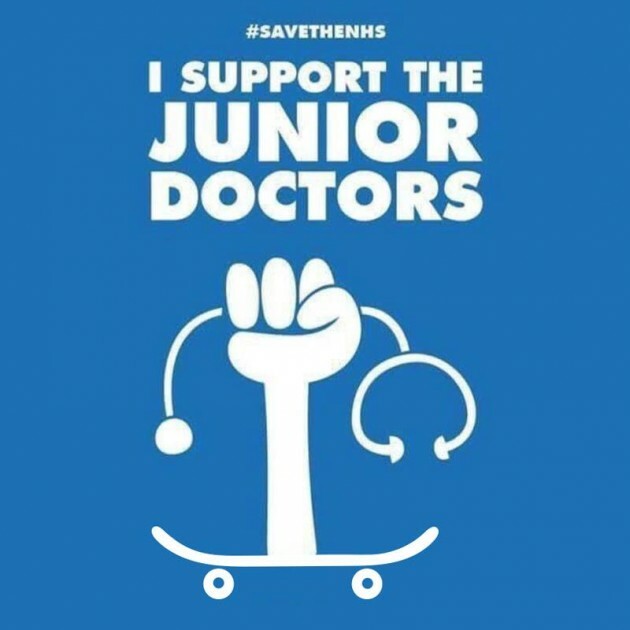 As a skateboarder who is currently injured and needed instant NHS assistance recently from a seriously painful slam, I’m totally behind junior doctors if they feel they need support, 100%. Our country doesn’t need demoralised and exhausted doctors, those on the front line need help and backing all week, all weekend, every month, all year. They give everything they have to those in need that no Tory government official could possibly even think of offering, and that is compassion – ready to embrace anyone, without prejudice. True heroes. 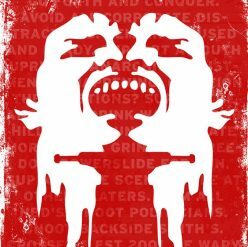 If you skate in England tonight and need emergency assistance, be aware that 78% of junior doctors are not there for you for a damn good reason but someone has to fight for the cause. Thanks to all those wonderful people who help us when we go down.